Having faith in humanity is harder on some days than others. Like today. 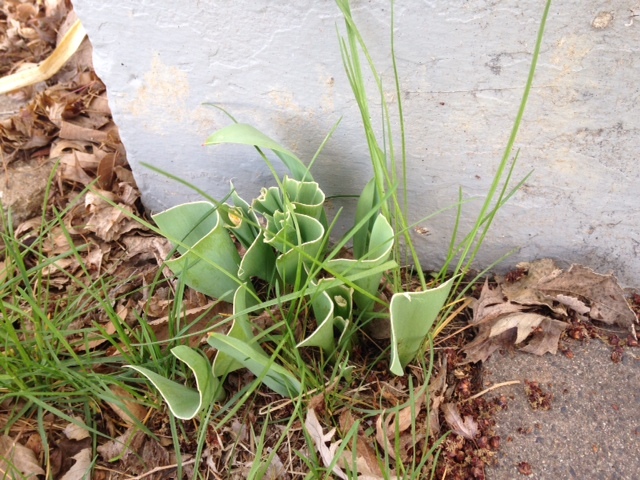 Walking up the sidewalk to my house, I noticed someone had cut the little bunch of tulips growing by my front porch. Obviously people do far worse to each other than steal their flowers. But even something as small as this stings. I’m thrilled to be performing this weekend at the American Atheists Convention in Salt Lake City. I know I’ll be inspired there by being surrounded by other “true believers,” people who get up each day and look for proof of humanity’s goodness. Maybe the person who took my flowers gave them to a sickly grandma who smiled brightly and felt loved. P.S. Turned out to be DEER who cut my tulips! They were hungrily passing through the neighborhood, confusing many more people than just me. I noticed that all along the street as I walked to work this week that tulips beside the sidewalk had been trimmed the same way. I hope it was done to help someone’s ill grandma too, but it’s still wrong. Guess what?!? Someone else in town mentioned that DEER gobbled up all the tulips on their street. So our tulip loss had nothing to do with horrible people. Just nature!